SiriusXM hosted a special taping honoring the late Waylon Jennings on Tuesday (12/6) at the SiriusXM Theater inside Nashville’s Bridgestone Arena. The show featured his son singer Shooter Jennings, and Shooter’s mother, singer Jessi Colter. The event celebrate the upcoming release of Waylon: The Music Inside, Vol. 2. 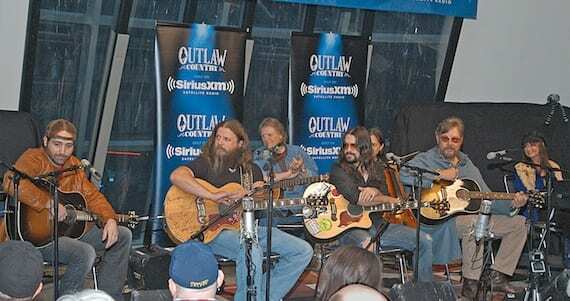 Among the surprise guests were Josh Thompson, Jamey Johnson, Hank Williams Jr., Jack Clement and Billy Joe Shaver.